Cake in a Box designs delicious wedding cakes Glasgow, unique Birthday cakes Glasgow and custom cupcakes Glasgow to suit every occasion. Our reputation for quality and excellence is renowned with existing customers returning time after time. Skilled cake makers will create a cake to a customers budget. Whether it is a boys christening cake, a girl communion cake or corporate cupcakes Glasgow, speak to us and we will seek to ensure that you have the right celebration cake for the party. We offer UK Nationwide cake delivery. Cake products are baked at our bakery cake shop, located in Rutherglen in the south side of Glasgow. Using traditional home baked recipes and the finest ingredients, our cake designers produce the most sumptuous chocolate cakes, traditional rich fruitcakes and delicious vanilla sponge cakes your tastebuds can imagine. Whatever the reason to celebrate we will design and bake a cake just for your special occasion. Whether you are seeking a fairy tale Wedding cake, a boy or girls christening cake, a relatives retirement cake, grandparents 90th birthday cake or corporate cake for a speacial event, we can create the perfect cake for you. From civil partnership cakes to anniversary cakes, simply contact us and tell us your cake idea.Some of the most popular events we make cakes for include: baby shower cakes, 1st Birthday cake, Engagement cakes, 18th Birthday cakes and 21st birthday cakes. Then there are children's cakes, anniversary cakes, wedding cakes Glasgow and corporate cakes Glasgow. Furthermore, come to our cake shop today for egg free cakes, dairy free cakes and gluten free cakes. After that, you can have your novelty cake delivered. A brides wedding day deserves an truly scrumptious wedding cake. Therefore, our wedding cake designers will create your cake around your chosen theme. Wedding cakes and wedding cupcakes are made by our dedicated and talented team who enjoy designing, baking and decorating cakes. Browse and you will see a wide range of cake designs. 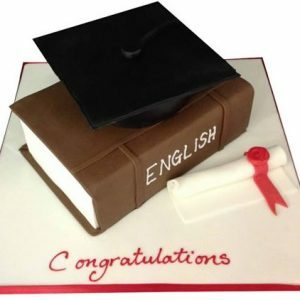 Alternatively, for unique custom designs our cake makers will discuss and then produce a completely unique design to meet your own specification.